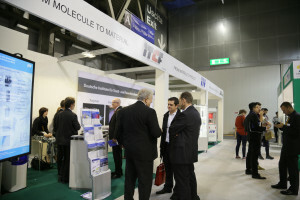 To emphasise the innovation message to the textile, garment and fashion industry, CEMATEX, the European Committee of Textile Machinery Manufacturers, has launched the ITMA Innovation lab. 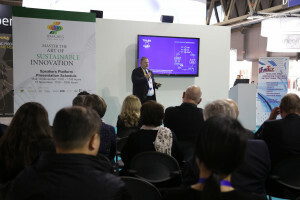 The focus on innovation at ITMA 2019, further underscores the show’s 2019 theme: Innovating the world of textiles. ITMA Innovation Video Showcase will provide a new channel for visitors to learn more about innovative exhibits at the show. Exhibitors can submit videos based on the topics Raw materials and manufacturing technology, automation and digitalisation, creating new opportunities in the textile and fashion industry, technical textile innovations and manufacturing technology and sustainable textile and garment manufacturing in the circular economy A panel of judges from the global industry will select the videos to be shown at the Speakers Platform. The Speakers Platform is a good avenue for participating R&I Pavilion institutes to present their latest research projects and cutting-edge technological developments. For the first time, guest industry speakers will be invited to share their knowledge and experience with ITMA participants. Some members of the judging panel will also be invited to lead discussions on various topics, thus adding to the vibrancy of the platform. The Sustainability Award was created by CEMATEX in 2015 to recognise the collaborative efforts by the global textile industry to advance business sustainability through innovative solutions, and promote outstanding industry related research. The Award comprises two categories: Industry Excellence Award for textile and garment makers, and brands who leverage ITMA exhibitors’ solutions to create green products; and a Research & Innovation Excellence Award, open to Master’s degree students.